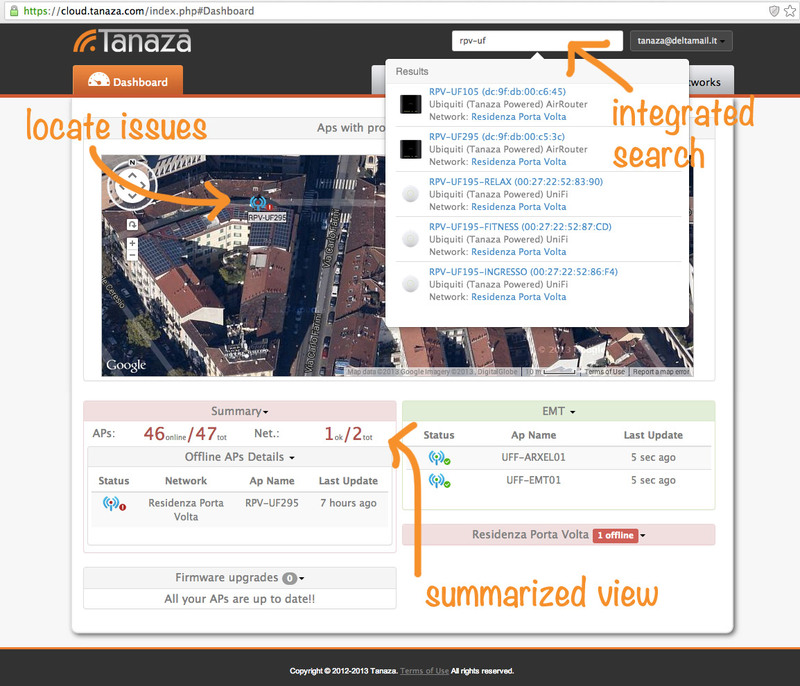 We just released the latest version of the Tanaza Dashboard (cloud.tanaza.com), completely rethought. It’s now possible to instantly have a summarized view of the networks and have an idea of what is going on within all the Wi-Fi networks managed through Tanaza, with no need to check each single location, one by one. an integrates search box, which allows finding APs looking for MAC addresses, device models and vendors, network or unit name. All, with no need to leave the dashboard. Suggedtions? Let us know in the community.tanaza.com section.